With residents’ purchasing power and savings on a rise, more and more residents consider housing acquisition options, according to Swedbank data. «Although residents most often pick standard apartments (75%), demand is also on a rise for new project apartments. This and Latvia’s growing economy motivates real estate developers to commence active construction of new projects,» the bank explains. «There are currently only 1,500 apartments in development in new projects. This is 50% more when compared to last year’s period. Economic-class apartments priced up to 1,600 EUR/m are developed the most. A large amount of activity is also observed in the business-class segment, where prices range from 1,600 to 2,500 EUR/m,» Swedbank representatives say. 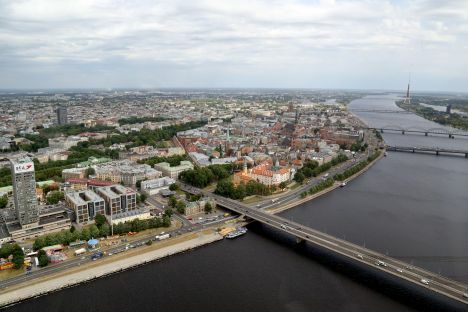 The bank notes that assessing the number per capita, Riga seems behind neighbouring countries’ capital cities in spite of the fact that prices are 15% to 40% lower than they are in Lithuania and Estonia.